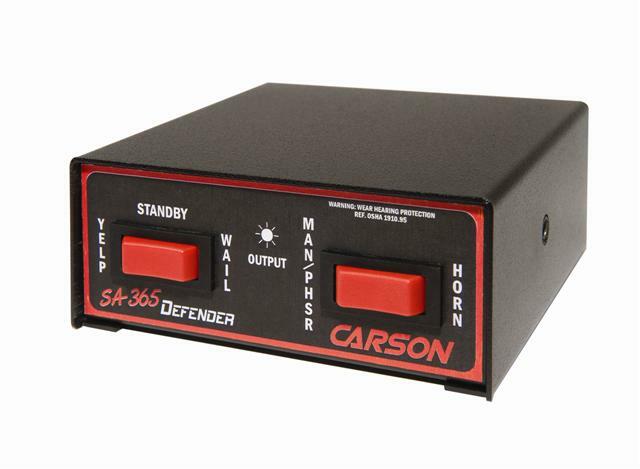 Introducing the all new Carson SA-365 Siren. 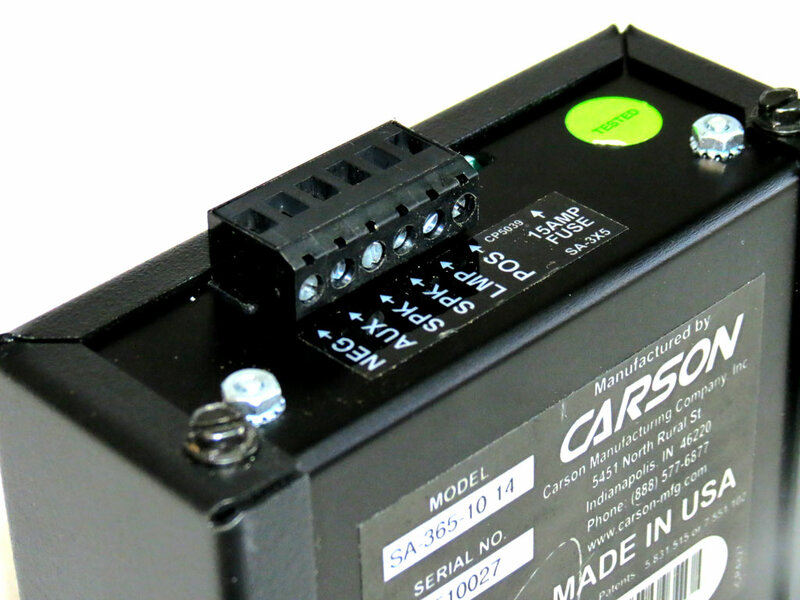 This siren replaces the Carson SA-361 Defender Compact Siren. 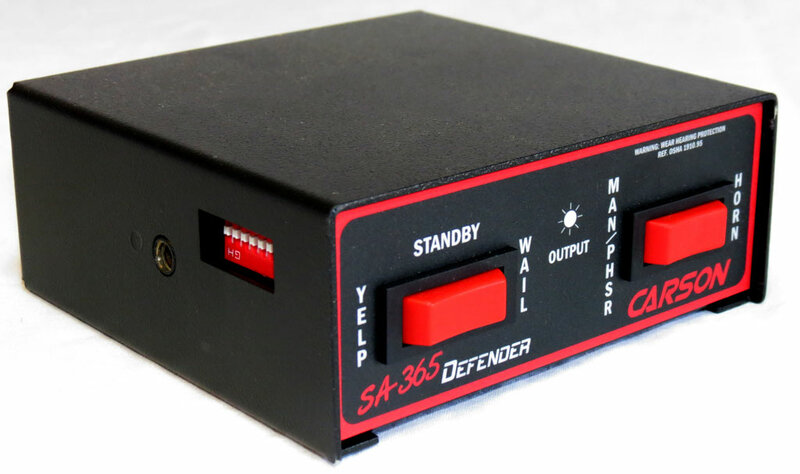 Never before has a police and fire siren delivered such powerful features at an affordable price. It's perfect for volunteer firefighters who need a compact siren that can mount underneath the dash of your personal vehicle so that it can be used when you respond to fire calls and can be out of the way when your off duty. Fantastic siren very easy to set up and very loud. Recomend for any volunteer firefighter or ems. ProsEasy set up. Very loud. Moves traffic. Very compact. ConsThe manual and wail I think should wind up a little faster. Very minor con though still love the unit. I am a volunteer firefighter and have only used my new Carson SA-365 once, but it sounds great. Sounds much better than one of our existing sirens on our support truck -- so good, we will be ordering 2 of these for our volunteer fire dept to replace the one on our support truck and a one for our new (to us) tanker. Great sound, compact, very versatile, easy to use and "program". If you are a volunteer or are looking for a "bargin priced" siren, this is it !! !